High-quality dentures that fit well and feel great can change your life! With a set of well-fitting dentures, you can go back to enjoying the foods you used to love and stop being self-conscious about your new smile, and Adams Dental Center can help make that happen. 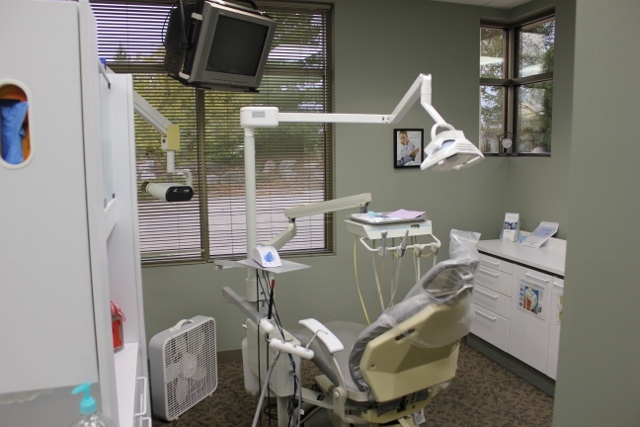 Based in Lincoln, NE, this innovative dentistry team is dedicated to helping people enjoy oral health at every age, and they believe that everyone who wears dentures deserves comfort. The Can Boost Your Confidence: When your dentures aren’t comfortable and you feel like they don’t fit right, it can make any event that involves eating anxiety-producing. Dentures should feel like an extension of your mouth, and when they do, you can be confident at home and in public. They Look Great: Modern dentures come in a variety of custom sizes and shapes, so you and your dentist can work together to find the perfect set to enhance your features. In fact, modern dentures look so good that many people find they prefer the look of their dentures to their old natural teeth! They Make It Easy To Speak: One of the worst things about uncomfortable or ill-fitting dentures is that they can impact the way you speak. According to the dentists from Adams Dental Center, high-quality dentures do not impede speech at all, so you never have to worry about denture-related speech issues again. You Can Eat Your Favorite Foods: If you’ve never had high-quality dentures before, you may have resigned yourself to a life without corn on the cob or the ability to bite into fresh apples, but you don’t have to! Patients who get dentures through Adams Dental Center can enjoy all of their favorite foods without worrying about slippage or discomfort. You Don’t Have To Think About It Anymore: You know you have a great pair of dentures when you forget you’re wearing them. Sure, dentures are important, but your life shouldn’t revolve around your teeth. The team from Adams Dental Center is dedicated to helping all of their clients get the dentures they need so they can move on with their lives! To find out more about getting better dentures that increase your quality of life call Adams Dental Center at (402) 484-6666 or visit them online now.